MANILA, -- The Philippines has added a submarine or two to its shopping list for its military modernization program. This was learned during the recent hearings of the bicameral Commission on Appointments (CA) when it confirmed three senior officers of the Armed Forces of the Philippines (AFP) although they were absent as the AFP leadership submitted to the CA explanations for their absence. One of the three was Navy Capt. Vincent J. Sibala. Rep. Antonio A. del Rosario, chairman of the CA National Defense Committee, told his colleagues during the CA plenary session presided by Senate President Franklin M. Drilon, concurrent CA chairman, that Sibala is in Kiel, Germany, undergoing schooling on submarine warfare. Sibala was one of the 105 senior AFP officers confirmed by the CA last Wednesday. Heading that list was Hernando Delfin Carmelo A. Iriberri, as the 46th AFP chief of staff and as a four-star general. Asked by Bulletin whether the country has indeed added a submarine or submarines to its shopping list, Del Rosario replied in the affirmative. 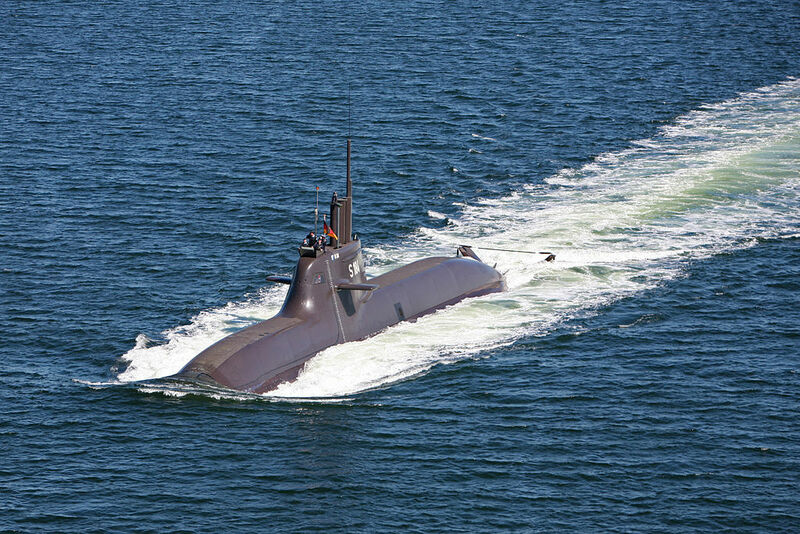 The planned submarine acquisition is under the proposed P25-billion AFP modernization program. That program, according to Del Rosario, includes airplanes and helicopters. He could not give details on the AFP modernization program since his responsibility, he said, is centered on deciding whether or not a military officer is fit to hold such office. Del Rosario said the AFP is supposed to complete its buying program before the end of the six-year term of President Aquino which ends June 30, 2016. He commented that what the Philippines needs is peace, “but we don’t want to be bullied,” alluding to the present maritime dispute between the Philippines and China. Asked if the submarine and other modern military hardware being purchased are enough to face a big military power, he replied that even ants can bite. The German Navy Type 212 submarine Luftbild vom U-Boot (U 34) der Klasse 212A in Fahrt.